As I checked in for a flight I noticed this flier by the check-in machine. Is this is a joke? 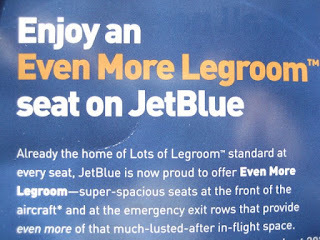 I mean, can you really trademark phrases like "Lots of Legroom" and "Even More Legroom"?